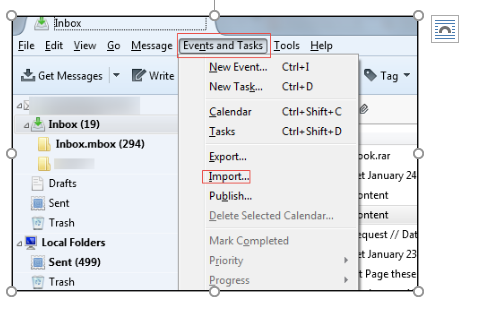 How to import ICS files to Thunderbird email client? Home / How to import ICS files to Thunderbird email client? ICS file – ICS file is a standard format used by various email clients to store calendar information such as tasks, events, journals etc. Thunderbird – Thunderbird is an open source, desktop email client developed by Mozilla Foundation. Thunderbird application is free of cost and can be installed easily. Why there is a need to import ICS file into Thunderbird? 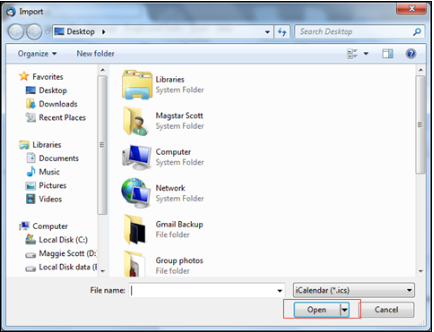 If a user wants to open ICS calendar without internet connectivity there is a need to import ICS files into Thunderbird. Open Mozilla Thunderbird email client on your computer system. Import window is opened. Browse the required ICS file which you want to import to Thunderbird email client.